A couple of days ago I attended (first time I managed in almost 6 months) the London chapter of the Emacs Church (also known as the local meetup for emacs lovers). In this event we were shown how to use emacs effectively for Clojure development (using Cider) and I saw in real life Spacemacs. In case you don't know, Spacemacs is a "distribution" of Emacs prepared (is open source, of course) to be easy to setup, and somehow specially prepared for former Vim users to move to Emacs. For instance, on startup asks if you want to be in Emacs mode, evil mode or hybrid (Emacs mode keys in vim insert mode) by default. As you may remember, I've been using Emacs with evil for around 3 years already, and have been pretty happy with it. I'm not so happy about the state of my .emacs file: currently it is 2652 lines long (of course around 400 or 500 of those are generated automatically by custom). Too big and unwieldy. And I'm too lazy to move all the nuts and bolts to something more lightweight and sane. 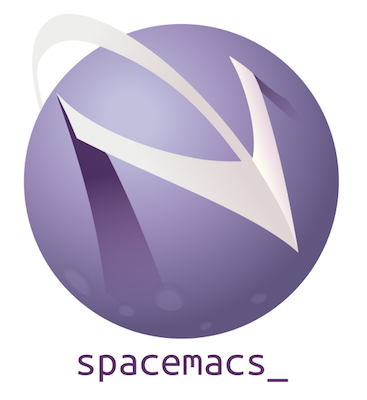 I thought that trying out Spacemacs could be the perfect excuse to clean the mess off my .emacs file, since I could carefully move piece by piece whatever I needed as I needed it (like I usually do when upgrading computers). For a start, the beginning was a good experience. Since by default it includes most of the fancy stuff I use normally (helm being the biggest, fanciest helper I need, I only needed to tweak helm-files and switch-buffer, and add recentf) and I no longer use mu4e on a day-to-day basis, I could easily switch to it. or the equivalent in your environment. Caveat: multi-term/ansi-term won't work as expected (best solution is to actually move to using Spacemacs as default). Aside from that I have had no other big issues, and recently moved to Spacemacs to be the main Emacs and if needed I can run my old configuration with the "HOME trick". Something I found surprising though is the load time: Spacemacs does not load packages on startup and my .emacs setup did, and they roughly start up at the same speed. Somehow I expected a faster startup time. Worth also downloading the latest emacs port for homebrew, which fixes some annoyances with powerline colours as well as being quite more up to date than Carbon Emacs. Now the only big thing left I have is reconfiguring multiple-cursors and my definitions of more-like-this and all that to be a happy Spacemacs user.